Two goals are set up 36 yards apart with a 44 yard width (two penalty boxes). Multiple balls are set inside of both goals and a keeper is placed in front of each net. Goal keepers attempt to score on each other by throwing, drop kicking, punting or serving off the floor. Each attempt to prevent the other from scoring and uses balls on frame to try to counter attack as quickly as possible. The first to score three goals is the victor. It is recommended that even field players attempt to beat the goal keepers of the team to help them understand the demands of keeper training and the difficulty of defending the goal. Add a single attacking field player to each side that can stay only in their defensive half. Add a single attacking field player that can only attack in the front half. Add a single attacking player that can go anywhere on the field. 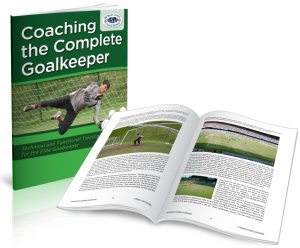 World Class Coaching offers eBook dedicated to training the Goal Keeper. 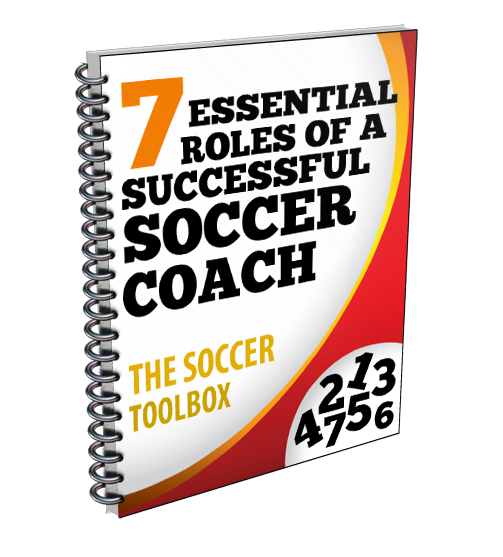 Click the link Coaching the Complete Goal Keeper for more information.